Computers are built to process data, but there’s a particular form of information so rich and dense in meaning that it’s beyond the full comprehension of even the most advanced AI. It’s also one that you and I process intuitively and deal in every day: language. But of course, it’s not as simple as that. As is often the case in AI, the test is actually a dataset, compiled by a group of Stanford university computer scientists that includes Percy Liang and Pranav Rajpurkar. It’s called the Stanford Question Answering Dataset (or SQuAD for short), and consists of more than 100,000 pairs of questions and answers based on 536 paragraph-length Wikipedia excerpts. You then read the excerpt and answer questions on it. On the surface, SQuAD looks formidable. The queries are wide-ranging, taking in everything from historical trivia (“When did Martin Luther die?”) to pop culture (“What enemy of Doctor Who is also a Time Lord?”) and basic chemistry (“What is needed to make combustion happen?”). The source paragraphs are equally dense, focusing on arcane topics like the legislative protocol of the European Union and the concept of civil disobedience. Questions on German theologian Martin Luther (pictured) seem tricky, but they’re actually quite simple. Faced with SQuAD’s questions, humans get around 82.3 percent of questions right. Alibaba and Microsoft’s AIs edged out this score, just — getting 82.4 percent and 82.6 percent respectively. That’s close, but a win’s a win. But while these questions and topics look intimidating, the test itself is easy. Think about it like this: for each question, the computers and humans know that the answer has to be in the source paragraph somewhere — and not just the answer, but the exact wording. Asking “Whose authority did Luther’s theology oppose?” seems tough, but when the source text includes the sentence “[Luther’s] theology challenged the authority and office of the Pope,” it doesn’t look quite so bad. You don’t need to understand what “authority” is, you just need to look for basic grammatical components, like the subject and object of a sentence. It’s like a student who can do well at tests without recognizing any of the subject material. These sorts of methods are self-evidently successful, but, like many forms of artificial intelligence, they’re also easily tricked. Since helping create SQuAD, Liang and his colleague Robin Jia made a version of the test that includes so-called “adversarial examples” designed to trip up the computer. Here, that means adding extra information to each paragraph. Yoav Goldberg, a lecturer at Bar Ilan University who specializes in natural language processing, says the mistake is thinking of SQuAD as something akin to a school test, rather than a tool intended to help computer scientists. “SQuAD was not designed to be a realistic assessment of ‘reading comprehension’ in the popular sense,” Goldberg tells The Verge over email. “It was designed as a benchmark for machine learning methods, and the human evaluation was performed to assess the quality of the dataset, not the humans’ abilities.” It’s the fault of the media and PR for interpreting it as something more than this. Goldberg also notes that the baseline the computers are being measured against doesn’t really capture humanity at its finest. The 82.3 percent accuracy score comes from workers recruited via Amazon’s Mechanical Turk (standard practice in computer science), who are paid a few cents per question and have to answer under a time limit. “So maybe they weren’t really doing their best,” suggests Goldberg. Even with these caveats, the performance of Alibaba and Microsoft’s programs deserve recognition. “Before SQuAD, if you’d asked whether computers could ever do reading comprehension on Wikipedia factoid questions as well as humans, you wouldn’t have been able to say yes definitively,” says Rajpurkar. Goldberg adds that it’s still impressive how, in just a few years, AI powered by deep learning has quickly outclassed earlier methods. 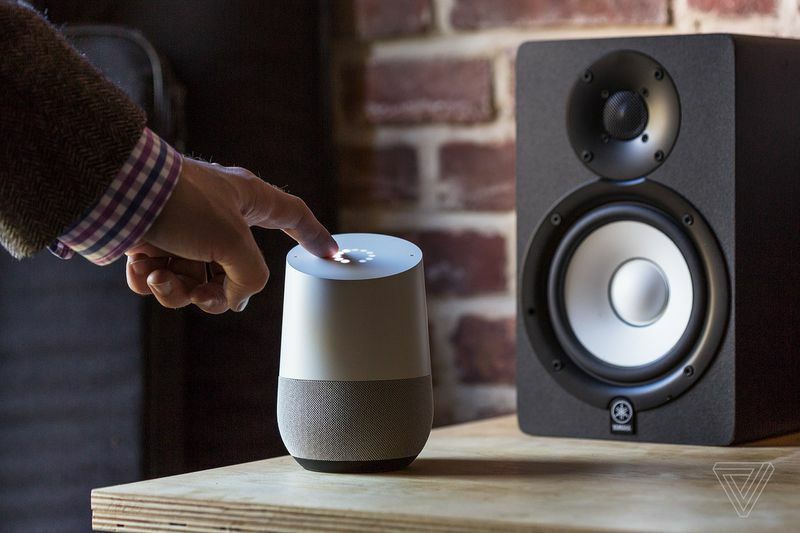 Being able to better parse textual information could help improve search engines and AI assistants — like the Google Home. And being able to extract this sort of data, even with only a surface-level understanding, could be useful in a number of domains — from better search engines to software that digs through long documents for lawyers and doctors. Alibaba, best known for its huge online shopping portfolio, says it’s already using this tech to help field customer service inquiries. So what’s next for computer reading? Will AI ever be able to understand language in the same way that humans do? Researchers in the field are not making any predictions. On the face of it, understanding text fully requires so much quintessentially human knowledge that machines may take decades and decades to match us. However, the history of AI shows that problem-solving methods initially derided as “cheating” or “hacky” can soon combine to create something unexpectedly powerful. “Practically, I think these systems are going to be really useful,” says Liang. “But in terms of the grand intellectual challenge, can we get computers to understand, that’s a completely different question.” And the way forward? That’s clear at least, says Liang: harder tests.